During initial tests of Google and NASA’s quantum computing system, it was found that the system was unable to outperform regular computers. 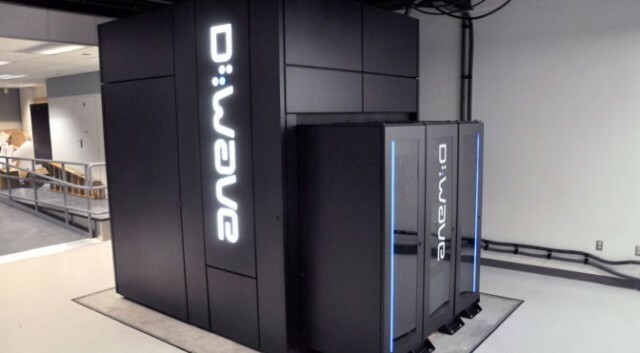 But now Google has announced that its quantum computer, D-Wave 2X has outperformed a traditional desktop by 108 times and making it one hundred million times faster than a conventional PC. “What a D-Wave does in a second would take a conventional computer 10,000 years to do,” — said Hartmut Nevan, director of engineering at Google, during a news conference to announce the results. Google says that their quantum computer, D-Wave 2X “raced” a conventional single-processor computer in a number of tasks, and outperformed it in every case. It has posted the results in a research paper, which is yet to be peer reviewed. What is a Quantum Computer ? Quantum computer is a computer which makes use of the quantum states of subatomic particles to store information. Quantum computer is different from digital electronic computers based on transistors. Whereas digital computers require data to be encoded into binary digits (bits), each of which is always in one of two definite states (0 or 1), quantum computation uses quantum bits (qubits), which can be in superpositions of states. The superposition of these qubits enable machines to make great numbers of computations to simultaneously, making a quantum computer highly desirable for certain types of processes. We found that for problem instances involving nearly 1000 binary variables, quantum annealing significantly outperforms its classical counterpart, simulated annealing. It is more than 108 times faster than simulated annealing running on a single core. We also compared the quantum hardware to another algorithm called Quantum Monte Carlo. This is a method designed to emulate the behavior of quantum systems, but it runs on conventional processors. While the scaling with size between these two methods is comparable, they are again separated by a large factor sometimes as high as 108. The results are not a cut and dry victory for the machine, however. The D-Wave machine was specifically engineered to solve the problems faced by both computers, giving it a distinct advantage. And Google is also working on other forms of quantum hardware, including some that isn’t limited to the optimisation problems the annealer is set to solve.